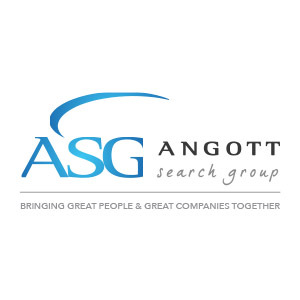 Angott Search Group has partnered with their financial services client in the metro Detroit area in their search for a Risk Management Manager. This person will work with the Director to develop, design and implement proactive and preventative policies and practices that limit or reduce, insofar as possible, the financial, physical and human risks associated with operating a financial institution. The Risk Management Manager monitors regulatory compliance requirements and implements risk management best practices that provide adequate security safeguards to protect the financial and physical assets of the credit union. Acts as a Security Officer for the credit union. Manage the review and research of customer transactions to identify and report suspicious activity to ensure compliance with the Bank Secrecy Act, the USA PATRIOT Act, and other applicable laws and regulations. Performs an investigation of all “alerts” generated by the anti-money laundering monitoring system to determine whether transactions identified qualify as suspicious activity. Prepares and reviews policies, procedures, forms and other documentation to provide guidance and direction to all applicable BOHC lines of business on the requirements for identification and reporting of suspicious activity. Conducts system tests of the anti-money laundering system including tests of updates provided by vendors. Under the direction of the Risk Director, communicates with vendors to report and resolve any outstanding issues. Aids in the design of loss prevention programs; educates and trains staff in risk control practices; and periodically conducts tests of all risk management practices, procedures and devices to ensure adequate application and performance. With the Director, institutes appropriate corrective action for all deficiencies discovered. Coordinates with the Training Team to develop and implement technology-based team member compliance and security training programs. Assists Director in the preparation of an annual Security Officer report for the President/CEO, summarizing therein the year’s losses, recoveries, types of criminal activity experienced and other security incidents and risk exposures, as well as recommendations for future loss reduction. Minimum of five (5) years’ loss prevention experience. Three (3) years’ security technology experience. Five (5) years’ credit union regulatory compliance.